Their unique look and space-saving functionality have made sliding barn doors a popular architectural detail. 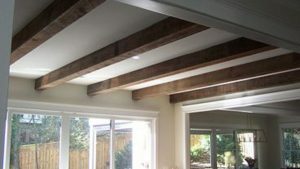 Their rustic features work well in both modern and contemporary spaces too. They are also a clever alternative in small spaces since they take up much less space than traditional swinging doors. Sliding barn doors are a beautiful way to bring warmth and character to any room in any style home. 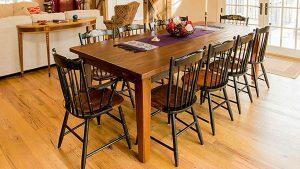 At Shenandoah Kitchen & Home, we painstakingly salvage old barns and agricultural buildings in and around Northern Virginia and the DMV area to re-claim wood, stone, tin and square nails. We transform these materials to enhance the architectural details of your home. The wood we use for our sliding barn doors is hand-selected antique barn wood. 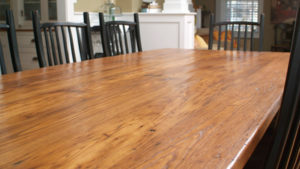 The character of aged wood is unmatched in new wood, and because it is recycled, it is a perfect green alternative. All of our wood is thoroughly kiln-dried to ensure that it is structurally stable and pest free. 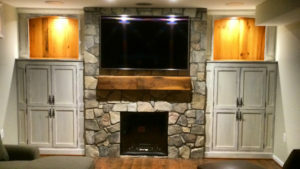 We use time-tested traditional methods of construction and over forty years of experience is invested into every sliding barn door we build. Each piece is handcrafted at our single workshop in Virginia, exclusively for each customer. 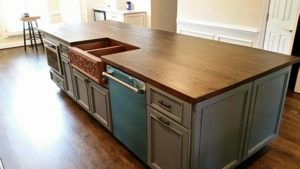 This allows you to modify our designs to meet your needs. 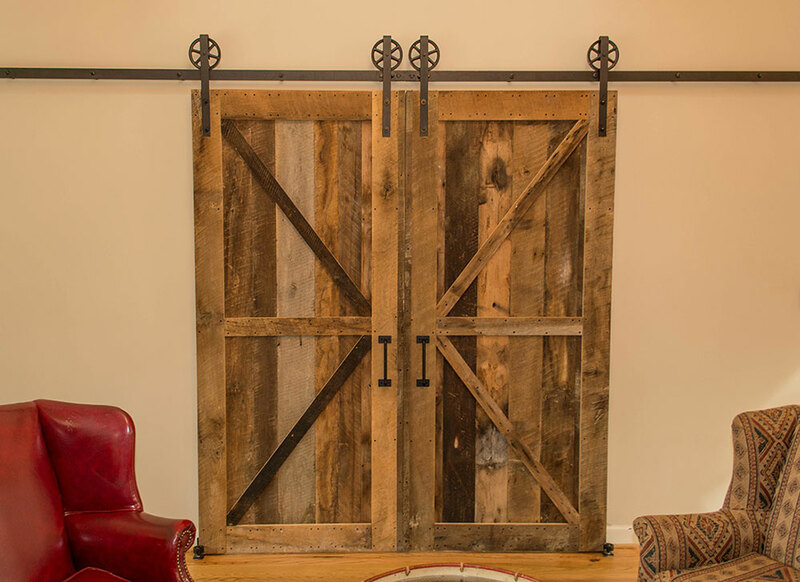 We have several sources for you to select your solid metal hardware that beautifully complements the reclaimed wood sliding barn door and blends with your home’s décor.